IDEAS Birmingham stands for Independent Designer Events for Artists & Shoppers in Birmingham and the surrounding areas. We started organising meet-ups to talk about our plans in March 2014. Once we became confident that we had all the skills we needed between us and that we could authentically represent Etsy’s own values within our team we launched it officially on Etsy in May 2015. We knew from the start that while we wanted to focus on holding events in the city we didn’t want to restrict the team members to Birmingham alone. So along with our Brummie teamies, we also have members based in the West Midlands, Warwickshire, Worcestershire and Staffordshire too. Whether you’re an Etsy stalwart on your million billionth sale, or a complete newbie still awaiting your first ‘kerching’; it really doesn’t matter to us. We believe everyone has something to offer; whether you are shiny polished and perfect, or a little scruffy and rough around the edges! Everything that you see from IDEAS Birmingham has been written, designed or created by a small group of Volunteers. We are lucky enough to have some fabulous members that are happy to get involved alongside their busy lives and businesses. This can be anything from attending meetings, helping with promo and social media and setting up and taking down our markets. 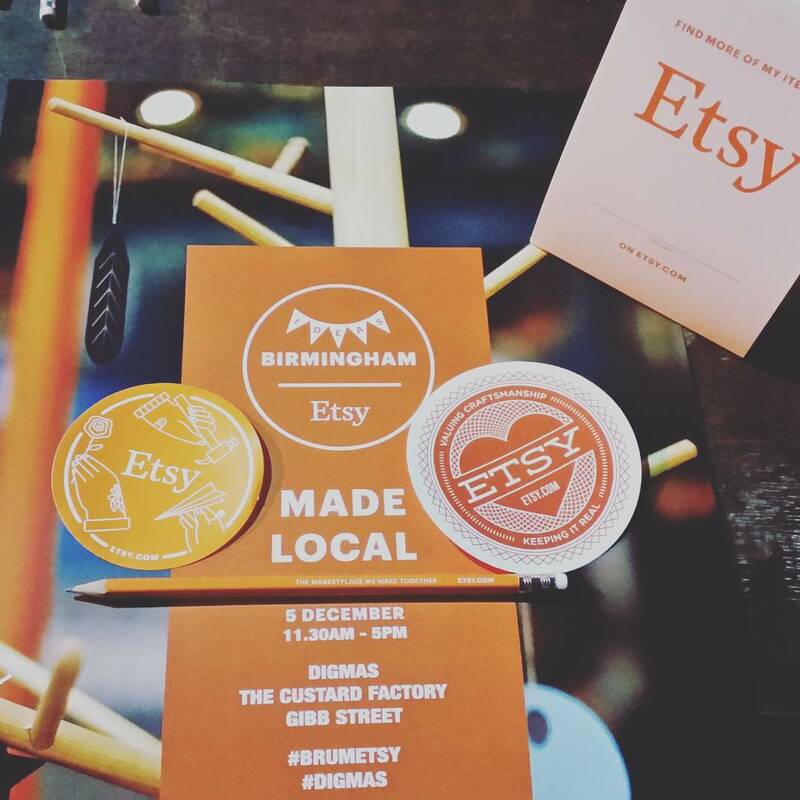 We’ve been taking part in Etsy Made Local now since it first began in 2015. Each year our event gets bigger and better. This year we are planning big things so keep a look our for the updates that we will be posting here and on our facebook page.